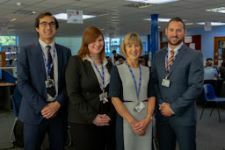 Wherever one looks, the Sixth Form of The Bishop’s Stortford High School provides the sort of opportunities to suit individual needs and desires. Whether it be scoring a try for the First XV, practising hard in the school band, performing a leading role in the school play, studying in the library, thinking, writing and discussing with vigour in the classroom, you will find life in the Sixth Form is a full and worthwhile experience. How often do we hear the request from universities and employers for a well-rounded personality? That is precisely what we hope you will achieve by taking up the opportunities we offer. Our Sixth Form will, therefore, bring a new dimension to you both in terms of privilege and responsibility; the two sides of the same coin. In return, we expect a high level of self-discipline and personal responsibility along with a willingness to take leading roles within the running of the school. We expect all our Sixth Form students to set a good example to the younger members of the school and the Student Leadership Team, led by the Head Boy, Head Girl and their deputies, makes a significant contribution to the day to day running of the school. 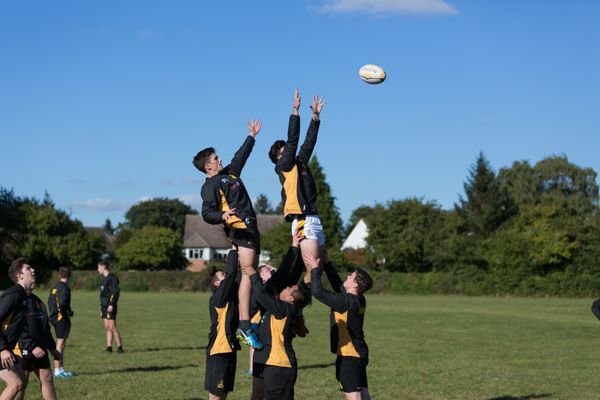 The school offers rugby as a sport during the autumn term of the school year, with the potential to extend into the winter term depending upon results in national competitions. We train on Tuesday after schools and Wednesday enrichment, as well as Friday lunchtime. We put out a 1st XV and 2nd XV every week, with the occasional matches including a 3rd and 4th XVs. 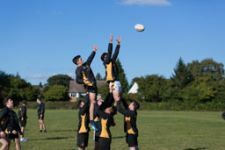 Rugby is a fun way to socialise with new people, as well as playing at a high level against good rugby schools (such as St Joseph’s, Ipswich and Bedford Modern School). We also went on a rugby tour to Australia over the summer, with the possibility of another tour happening in the next couple of years. We train on Wednesdays during Enrichment, which is open to everyone. There is an external coach that comes in to coach us, who is a former England player. For anyone that wants to play competitively there are extra training sessions for the first team, who play weekly in both a County Cup and a league. Everyone can also play competitively as we enter both a 1st and 2nd team into competitions. Every session, teams are randomly picked, with around 10-15 students turning up every week on average, therefore allowing us to play a full 5-a-side match with subs. Basketball-related skills have been significantly enhanced, with all-round shooting improving massively since the start of the term. The skill shown by some of the players is of a high-standard, with a showcase of 3-point shooting, strong defence, and close-knit passing and dribbling shown. In the future, we aim to organise fixtures of our own against other schools, as we are all keen on being a competitive basketball team. 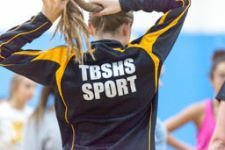 There are two different routes you can take in football at TBSHS, dependant on both ability and interest, as each footballer will make a choice on what they want to do. The coaching staff will decide whether you have the ability to play at 1st team or 2nd team level as there are the most consistent games in these two teams, however there are also games scheduled for a 3rd and 4th games. Squad football is taken generally more seriously with consistent training sessions and games most weeks. Often for the people that want to have some fun when they play and there are often several games going on. Boys and girls can take part in recreational football as it is every Wednesday and is organised primarily by the students. The Extended Project Qualification (EPQ) is the equivalent of an AS-Level, however you can achieve an A* in it. It allows you to research in-depth something you are truly interested in, whilst gaining some extra UCAS points at the same time. You have a choice between writing a 5000 word essay on a topic of your choosing or creating an artefact of some sort along with 1000 words of writing. It does require a lot of commitment, especially over the summer, as this is when most of your research will be done. However, the skills you learn from doing an EPQ, such as time management and self-motivation, are invaluable. Doing the EPQ looks great on a UCAS application or CV, and also lets you immerse yourself in a topic you find fascinating. Medical Society holds weekly meetings for prospective medics, vets, dentists, nurses and any other medical based profession. Recent medical news is often the topic of the meetings, with members of the society getting the opportunity to present stories they have found. It is a good way to keep up to date with what is going on in the medical world, which is especially important for university interviews, but for general interest also. We also hold quizzes on current medical affairs. Ethical conversations often arise from news stories, which are an important part of healthcare and medicine and sparks debate amongst members. We also discuss entry requirements and admissions test to try and be best prepared for the future. MedSoc is a great way to show an active interest in entering the medical field and it is beneficial to come together with people who have similar aspirations for their futures. Programming/Computing during Enrichment is a great chance for you to practice your programming skills or learn new skills. During the hour session on Wednesday afternoons we meet in one of the IT rooms and use the computers or electronic kits to create anything that we can think up. It doesn’t matter if you are new to programming as there are many people who can help you with any problems you have including Year 13 students and teachers. The school offers a wide range of programming languages to choose from so you are not held down with something you don’t like using. And this range allows you to always try something new even if you are really good in other languages. 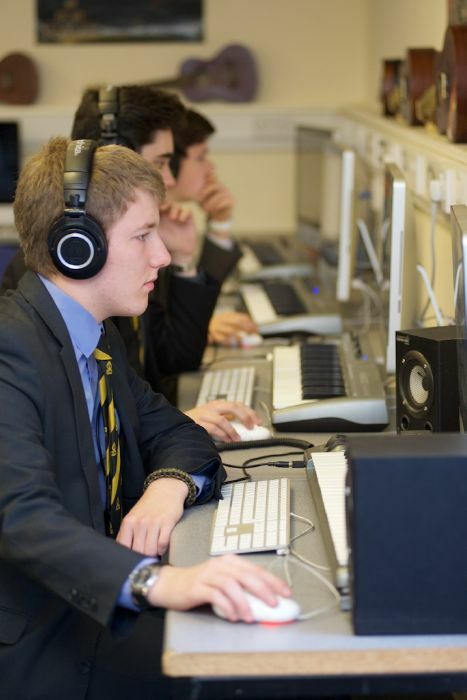 Later in the year the Year 13s that do Computing as a subject use this time to complete their coursework project which is a huge part of their final grade. If programming isn’t your thing then you can use the Arduino electronic kits to create anything you imagine. It requires some programming knowledge but it is easy to pick up and it teaches you a lot about how electronics actually work. There are many resources online that can help you if you don’t know where to start, which give you detailed diagrams of the board and the code needed to make the creation come to life. Previously people have created simple things like displaying text or fully functioning complex games so the options are endless. The Arduino kits come with many components like LEDs, buttons and buzzers so you can get to work straight out of the box. If you are thinking about studying Computer Science at university then practicing programming and playing with electronics are a good idea because it will put you one step ahead of everyone else when you join making it easier to fit in. 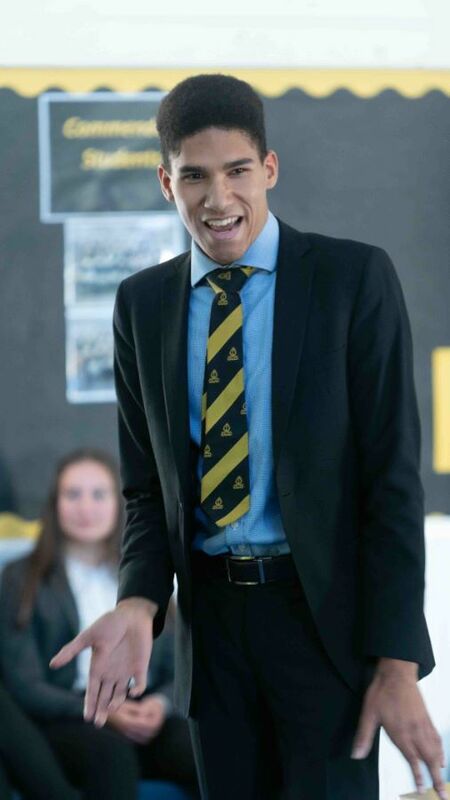 The Sixth Form Debating society runs every Wednesday from 2:00 - 3:00 and involves both domestic and interschool debating, and participates in several large and prestigious competitions. Within the sixth form we have debated motions such as, "This house would legalise assisted suicide" and "This house would remove the license fee". 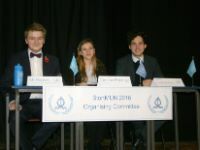 The school also takes part in the English Speaking Union's Mace Debating competition, the Cambridge Union debates, and has competed in the Debating Matters competition. The school does well at these, reaching the semi-finals of the Mace, and regularly beating schools such as Haileybury, King Edward's Grammar school, and has beaten prestigious schools such as Eton. Model United Nations (MUN) is a society where issues mirroring those at the United Nations are discussed. Each person is known as a delegate and they are given a country to represent. The delegate then has to convey their country’s viewpoint on a topic to try and create a resolution to the problem that is being discussed. It is a fun and friendly form of debating and our society encourages people to get involved. Furthermore, our school organises and hosts a conference every year, StortMUN. At the conference, there are people from the local schools and often from across Western Europe. 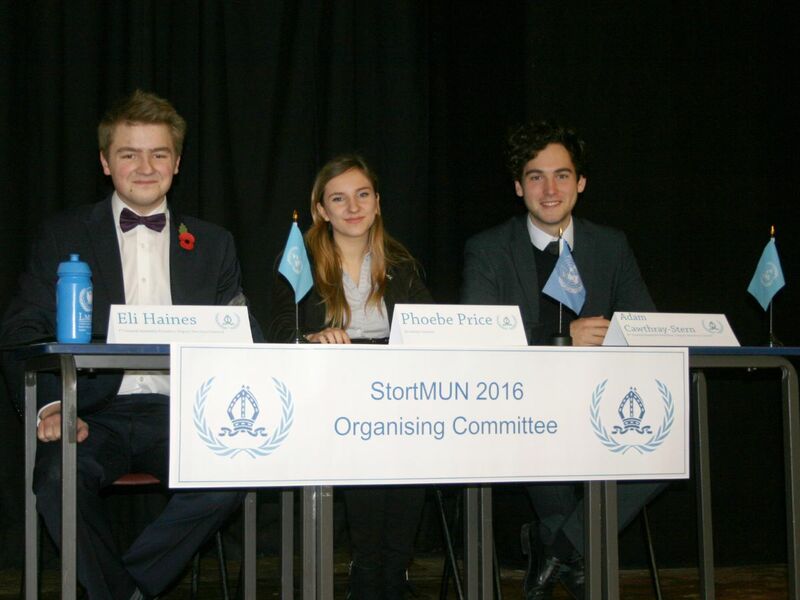 For StortMUN 2015, there were three foreign schools present: from Spain; Germany and the Netherlands. The overall topic for the conference was “The Crisis in the Middle East”. There are also currently two trips to the Netherlands for MUN. These are over three days and are very insightful. We are always looking for more opportunities to participate in MUN conferences as we feel they are the most beneficial part of MUN. On the trips you meet many new people and make many new friends, not only developing friendships within TBSHS but from other nations too. 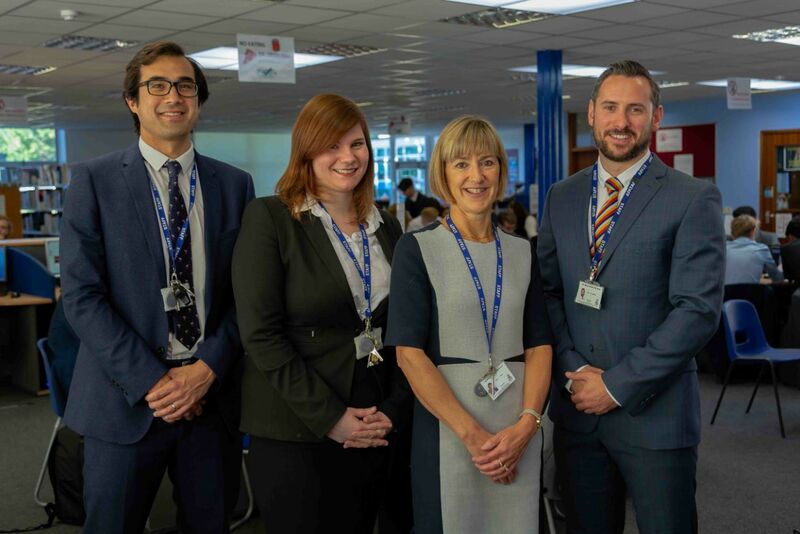 The Buisness, Economics, Accounting and Finance society was founded earlier this year to promote six form students’ knowledge on the broad subject of business economics. The society has gathered over 10 members, each giving presentations about current affairs, economic issues and business theory on a weekly basis. Future activities include a visits from ex-students Liam Brown and Ronan Laycock who both have successful careers at investment bank Morgan Stanley. 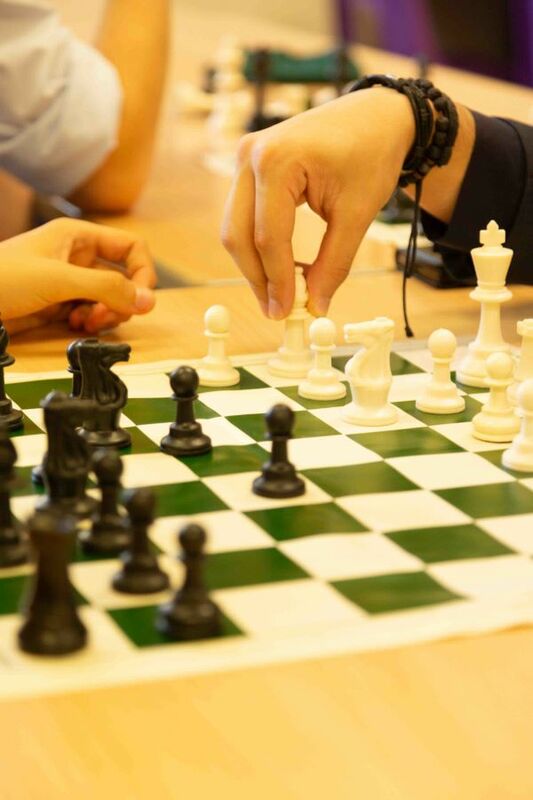 At chess enrichment your chess skills are improved and tested, as one person each week learns a new move to aid the opening, give you good strategies during the game or how to bring about the end of it. They then teach what they’ve learnt to the rest of the group and it is practiced for the rest of the period. 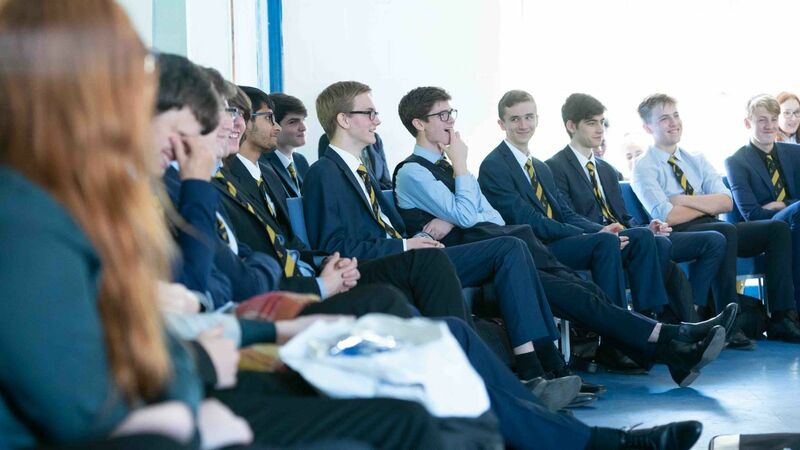 The Maths and Physics Society is a society that helps students gain insight into the world in which we live, through presentations, discussions and trips. Although one of the primary aims of the society is to help prepare students for university courses in Maths, Physics and Engineering but this is overshadowed by our aim to spread knowledge and help students understand the enigmatic world in which we live. Through presentations on topics that interest students and extend far beyond the boundaries of A-level as well as lectures that explain the mystifying parts of these subjects, we help guide students through the confusing world of Maths and Physics in an interactive and enjoyable way. Whether an enthusiastic Maths expert or someone with just a slight interest in Physics, MAPsoc is a great way to explore those subjects in a non-textbook way and have fun at the same time. The School Law Society’s aim is to bring students with a genuine interest in the law together and explore the legal profession, and to get more people involved and interested in law, as it can be found in many different spheres of life. This year our main goal is to establish a foundational understanding, one way in which we have done this is through the running of mock trials, which gave us a better knowledge of courtroom procedures. In the future, we are aspiring to take a trip to the Supreme Court to give us first-hand experience of the law and the nature in which it is practiced. One of the key aspects of the Law Society is that it is mainly student run with supervision from Mr Beran, as we organise our own presentations and activities, which show our commitment in learning more about law. We pride ourselves in accepting students from all age groups who have an interest in law, and openly welcome any newcomers. Outreach is a fun, personally enriching experience that allows you to build bridges within the local community whilst helping others. In the past, we have worked with the police, run reminiscent sessions with elderly people and also been involved in gardening projects across Bishop's Stortford. The programme allows the development of important life skills such as leadership, organisation and teamwork. It also shows your active involvement and contribution to a community, which demonstrates to prospective universities and employers your potential contribution to their establishments, adding to your personal statement and CV.